A kayak is essential if you want to explore beachside campgrounds, enjoy scenic views, and explore areas with a lot of fishes hiding somewhere to evade your reel. As there are lots of ways to use a kayak, there are lots of choices as well to make. So, how to choose a kayak which is suitable for you? Well, consider these factors to buy the best kayak according to your need. Where do you want to kayak? Sit-in Kayak or Sit-on-top Kayak? Although water types do not always determine which type of kayak you should buy, still it plays an important role while choosing a kayak. A lot of kayaks are out there which are categorized for the different types of water. For example, most inflatable kayaks are designed for fresh lake water. There are only a few inflatable kayaks available which can handle salty water. Let’s dig more! If you are considering kayaking on calm, fresh lake water in fine weather then, any sit-on-top kayak or recreational kayak will work just fine for you. You can choose sit-in recreational kayak or sit-on-top recreational kayak as your need. 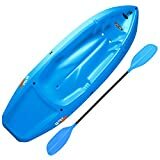 Inflatables kayak is also great value for these types of kayaking as they offer great portability with fewer prices. However, if you want to go to the big lake like Lake Superior then, your choices may need to vary. This is where you will get wind, whitecaps, tides, currents, waves and more to play with. So, if you do not want to get drenched, choose a sit-in kayak with skeg or rudder. However, if you are living in a warm atmosphere and you plan to go for a swim or kayak surfing the sit-on-top kayak can also be a good choice. For either of the purpose, ocean kayak can be an ideal choice for kayaking on this type of water. Kayaking on the river requires a sturdy and stable kayak which can turn quickly. For this reason, if you are decided to go for river kayaking for recreational purposes then, try to buy stable, short recreational kayak which is made with quality material. 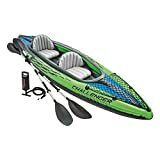 How to choose a kayak for both lakes and rivers? Well, if you want to kayak in both still and flowing water then go for a short, sturdy sit-on-top or sit-in kayak. Your kayak can be the recreational or touring type, depending on the reason you want to use your kayak. The better option here is buying a crossover kayak with skeg. Skeg will allow you to move swiftly and turn over quickly. You can also go for rudder, but rudders are only found with larger kayaks. If you want to know more about how to choose a kayak, you have to learn about its different types as well. Generally, there are two types of kayaks available based sitting arrangement. Those are Sit-in kayak and Sit-on-top kayak. Let’s find out more about each of these types. Kayak category is an essential factor in choosing the best kayak for your need. For some manufacturer like perception kayaks, features of different categories may mismatch, but the basic terms remain the same. Let’s find out more! Recreational kayak can be both sit-in and sit-on-top types. These are stable, affordable, easier to turn and easy to ride and get off. These kayaks are suitable for still water, lakes and meandering rivers. However, you should not use these kayaks for coastal kayaking, long trip and rapids, and waves. These kayaks also offer limited space for few materials. 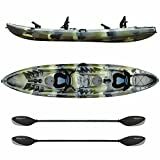 Day touring kayak is a type of versatile boat that offers more efficient movement feature than another type of kayaks. These sleek boats can provide more control for tough water. Day-touring kayaks are smaller in size than ocean kayaks, and hence these kayaks are easy to operate and transport. They also offer moderate cargo space. Touring kayaks are long, robust boat which is specially designed for long distance kayaking. These kayaks can be tracked well and consist of skeg or rudder to deal the current and wind. These kayaks provided ample space for cargo and made with the higher quality of materials; hence pricey. There are different types of kayak also for particular purposes. 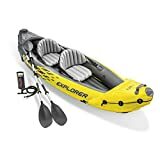 For example, most below mentioned kayaks are ideal for you if are low on space, want to kayak with someone special or for focused use like fishing. Learn more about these types of kayaks. If you are running out space or living in an apartment and planning to travel or hike with a kayak then definitely a folding kayak will help you out in this scenario. Well, a folding kayak is not that much sturdy and hard-shell boat, but it is lightweight, portable, easy to store and handle. Inflatable kayaks are also great for saving storage space. It is lightweight and comparatively versatile and sturdy. Most of these kayaks are recreational models and cannot go as fast as other types. So, inflatable kayaks are good for short trips in a slow river or lake. There are also some rugged, wide inflatable kayaks which can be used in flowing rivers also. Fishing kayak is designed in a way that, most anglers get the benefit of using these types of kayaks. These kayaks offer rod holders, fish keeping cargo spaces and sometimes pedal propulsion mechanism for hands-free usage. Does your partner often want to go with you for kayaking? Well, if so, you can save some cash by buying a two-seated tandem kayak instead of buying separate ordinary kayaks. Tandem kayaks are more stable with two riders, and it’s an excellent choice if you want to take your partner or kids along. However, going solo with the tandem kayak is a bit uncomfortable experience. So, you should take a partner with you whenever you go kayaking. A lightweight kayak is highly efficient in carrying and paddling. A light kayak also offers the flexibility of carrying more equipment. However, the tradeoff here is that a lightweight kayak is more costly than ordinary kayaks. Polyethylene Plastics are inexpensive but produces heavier kayak. Polyethylene is also vulnerable to direct sunlight and degrade if exposed for a longer time. So, store your polyethylene plastic made kayak in a covered place, away from sunlight. ABS Plastic is slightly pricier than polyethylene but provides similar durability. Higher priced ABS Plastic will also offer lighter kayak and even UV resistance. Composite material like lightweight carbon fiber and fiberglass provide great quality over price. UV rays are not a problem for these lightweight kayaks. Among all nice and beautifully designed kayak, it is really hard to choose the right one. So, how to choose a kayak? Well, there are certain types and specification which defines the usability of a kayak. We believe that after reading this article, it is now more comfortable for you to choose the one you need. However, while buying your long-cherished kayak, you can also consider some other criteria like length, weight capacity, and width. If you need more information regarding purchasing one of the best kayaks, do not hesitate to write us back.